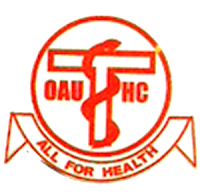 Applications are hereby invited from suitably qualified candidates for admission into the Full-Time Medical X-Ray Darkroom Technician Training Programme for 2019/2020 academic session at Obafemi Awolowo University Teaching Hospitals Complex, Ile-Ife. The Programme provides an advance course for the already existing Medical X-Ray Darkroom Personnel, empowering them through training to carry out basic maintenance of auto-processor, accessories like cassettes, screen mounting appreciation and elimination of artifacts, management of waste products, processing solutions etc. On completion of training, a darkroom technician entry point is Grade Level 07 and can rise to Grade Level 13. The Course is recognized and approved by the Radiographers Registration Board of Nigeria. The nomenclature for the graduate of the programme is Medical Darkroom Technician/Medical Image Processing Technician. Basic Qualifications for Freshers: Applicant must have five (5) Credits, at not more than two (2) sittings in WAEC/NECO in the following subjects: English Language, Mathematics and any two from Physics, Chemistry, and Biology plus any other subject. Professional Qualifications: Holder of Certificate in Medical Darkroom Practice of the Institute of Radiographers of Nigeria, (Darkroom Assistant Certificate) plus the requirements stated in (4) above shall be admitted for Two (2) years duration to complete the Medical Darkroom Technician Programme. 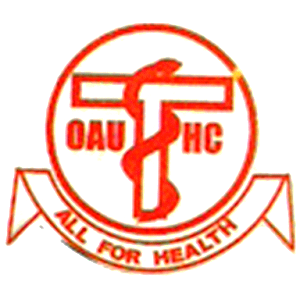 Payment should be made into O.A.U.T.H.C. 'S TSA Recurrent Account via REMITA Platform through any Commercial Bank and indicate the purpose of payment as "Admission Form into Medical X-Ray Darkroom Technician Training Programme"
Thereafter, the evidence of payment should br brought to the Clinical Services and Training to collect admission form. CANDIDATES AWAITING RESULTS: Candidates still awaiting their O'Level results can apply but the results must be available on the day of the interview.